This Classic 25cm Crepe Pan makes Sunday breakfast a breeze! 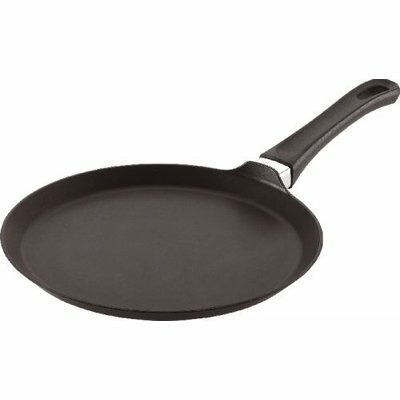 It has SCANPAN's exclusive Ceramic Titanium technology and is designed and made in Denmark from environmentally friendly, recycled aluminium with a PFOA free non-stick surface. SCANPAN Classic cookware is oven safe to 260°C with even heat distribution and unsurpassed durability. The handle is fixed to the body of the pan using a patented system without rivets, screws or springs. The Classic collection is the biggest and most comprehensive SCANPAN range available in the market today, with more than 50 individual pieces to choose from. Good, even heat and best for flapjacks! Works like a charm and so easy to clean. Just a damp cloth and some warm soapy water. I usually wipe it down straight after use for easy cleaning.